Puerto Rico is dialing 9-1-1 for any help it can get. The island was unable to make a $422 million debt payment due Monday. It's another alarm bell of how bad the situation is getting on the island. Governor Alejandro Garcia Padilla calls it a "humanitarian crisis," which a step above an economic emergency. He claims he is prioritizing paying Puerto Rico's police and teachers over Wall Street. "I had to make a choice. I decided that essential services for the 3.5 million American citizens in Puerto Rico came first," the governor said in a speech Sunday. This is the third time the island has defaulted on bond payments. The island paid the interest due Monday, but not the principal amount, resulting in a default of about $370 million, Puerto Rico's largest yet. Puerto Rico is deep in debt. It owes over $70 billion to creditors. 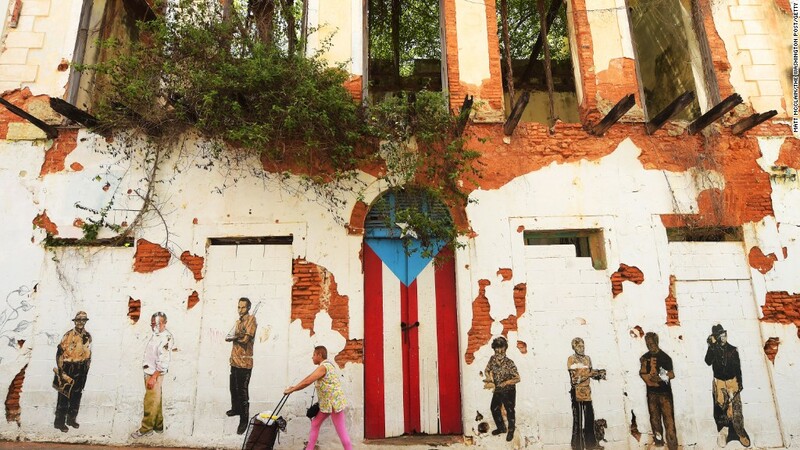 For months, Garcia Padilla has warned that Puerto Rico doesn't have enough money to pay its creditors. Another huge payment is due July 1. The island's best hope is that Congress will act before then to provide some sort of relief, such as granting a temporary moratorium on payments until a plan can be worked out. "We're very far from the end," says Philip Fischer, the managing director of municipal bond research at Bank of America Merrill Lynch. "It's clear Congress doesn't know how to handle this." Congress is in the midst of finalizing an aid package for Puerto Rico. The big sticking point is whether there will be some sort of "Oversight Board" overseeing the island's finances for awhile, similar to the model used for Washington D.C. in the late 1990s. Garcia Padilla and others on the island hate the current proposal. They argue Puerto Rico would lose its democratic rights if the Oversight Board can make decisions that supercede those of elected officials on the island. 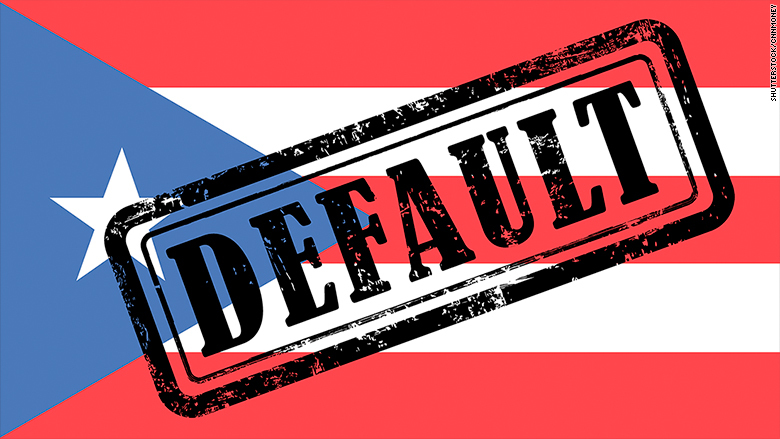 The governor believes the solution is simple: Puerto Rico should be granted Chapter 9 bankruptcy rights -- or something similar -- to make it easier for the island to restructure some of its debts, akin to what Detroit did. But many creditors and Republican lawmakers argue that the island has had years of political and financial mismanagement and needs someone from the outside to come in and restore credibility. The island still has not completed its 2014 audit, for example. "Congress has a Constitutional and financial responsibility to bring order to the chaos that is unfolding in the U.S. territory," Republican House Speaker Paul Ryan said last month. "Legally, this is very complicated," says the long-time municipal bond expert Fischer, who is a lawyer himself. The missed debt payment Monday is on bonds issued by the Government Development Bank, the economic development arm of the island's government. The big fear is that Puerto Rico will default on what is known as General Obligation debt in July. Puerto Rico owes $1.9 billion on July 1. "Our resources are so scarce that we are struggling to pay the fuel supplier for the police patrol cars and emergency response vehicles," Governor Garcia Padilla says. Puerto Rico's missed payments impact its own residents. Many retirees and savers are owners of the bonds. Wall Street hedge funds and other municipal bond funds hold the rest. But so far the overall U.S. bond market has not been negatively effected. "It's very serious, but the rest of the bond market is not expecting any contagion from it," says Fischer.